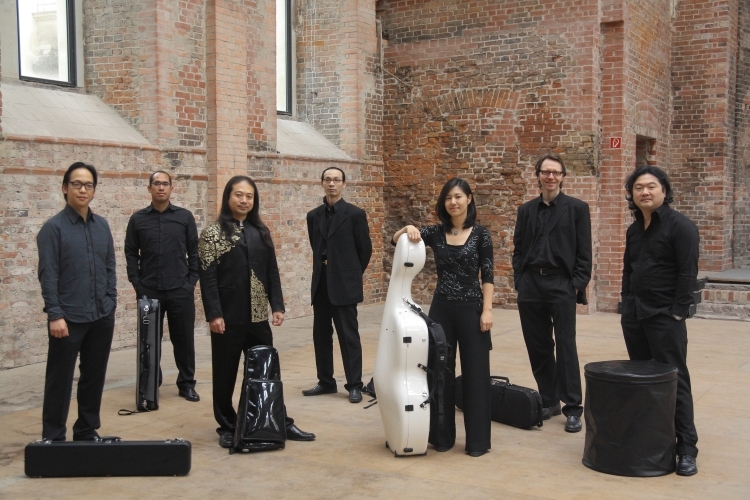 The AsianArt Ensemble was founded in 2007, on the occasion of a concert in the Munich Musica Viva series. Its members were a group of Asian musicians living in various parts of the world. The concert in the Villa Stuck was the opening concert of the 2007 season and included items of ancient Asian music and newer compositions on the traditional instruments of Japan, Korea and China. The formal launch of the AsianArt Ensemble took place in Berlin in 2009 in the Akademie der Künste on the Pariser Platz, this time with musicians mainly resident in Berlin. 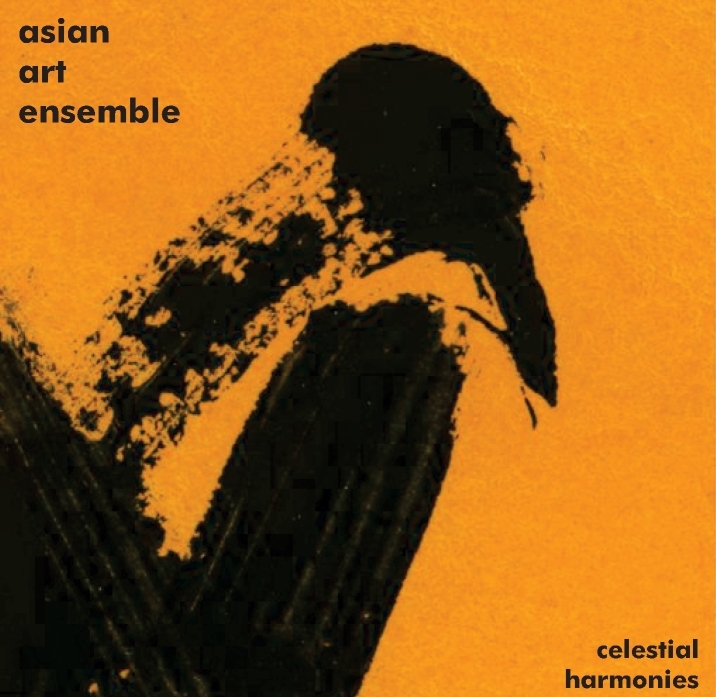 The revised concept envisaged the ongoing cooperation of musicians on traditional Asian instruments from Japan, Korea and China with European musicians; this long term cooperation was to include composers and to result in a cross-fertilization of different musical cultures in the field of contemporary music. An award from the Berlin Cultural Senate in 2010 led to the ensemble's first CD recording, a co-production between RBB Radio and Celestial Harmonies. In the same year the ensemble, together with CHUNG Il-Ryun, was awarded a commission by the Senate. YOO Hong (daegum) was born in Korea and is resident in Berlin. He studied the daegum (Korean bamboo flute) at the Seoul National University with leading players such as PARK Yong-Ho, HWANG Gyu-il, CHOI Sam-Beom, LIM Jae-Won and LEE Sang-Won. He has performed both traditional and contemporary music at festivals such as the Je Cheon Festival, the World Arirang Festival and the 31st Jung Suen Arirang Festival. As a member of the Jeonggaakhoe Ensemble he performed at the Queen's Hall of the Royal Library in Copenhagen as well as in Helsinki, Tallinn and Berlin, where he appeared in the Korea-Festival 2004 in the Podewil Centre. The composer SHIM Kunsu invited him to participate in his works in 2006. He has recorded many CDs, including several for the Korean Music Series of the Korean Broadcasting Station (KBS) and won several awards, including the Special Prize of the Dong-A-Concours and the First Prize at the Jeonju-Festival. Juan Gonzalez (violin) was trained at the Conservatoire of the Cumaná Youth Orchestra and at the Conservatorio Simón Bolivar in Caracas, Venezuela, under Professor Raimondas Butvila. In Caracas he was deputy leader of the Orquesta Sinfónica de Venezuela. He founded the Cuarteto Reveron and was a member of the Pasacalle folk music ensemble, with which he recorded several CDs. In 2002 he moved to London where he studied first under Yossi Zivoni at the Royal College of Music and then under Remus Azoitei at the Royal Academy of Music. He is a member of the renowned Britten Sinfonia and has performed at the Queen Elizabeth Hall in London and in St. David's Hall in Cardiff. Since 2003 he is also member of the Bolivar Soloists quartet which regularly performs in Germany and the UK. The Quartet recently recorded a substantial portion of their Latin American repertoire on two CDs, the second of which is devoted to the composer Alberto Ginastera; the album was recorded live in the Radio Bremen studios and broadcast in May 2007. At present Juan lives in Berlin and plays with the Kammerakademie Potsdam, the Oriol Ensemble and the Deutsche Kammerorchester. WU Wei (sheng) was born in China in 1970 and has been a resident of Berlin since 1995. After studying sheng (Chinese mouth organ) at the Conservatoire of Shanghai and successful performances as a soloist with the Shanghai Orchestra for Classical Chinese Music, he gained a scholarship from the DAAD for postgraduate studies at the Hochschule für Musik Hans Eisler in Berlin. Since then he has developed his artistry on the 4,000 year old sheng as well as on the lusheng, the erhu and the matouqin (Mongolian horse head violin). In China he is regarded as a leading figure in the rapprochement between traditional Chinese music and European contemporary music. He has performed as soloist with the Berlin Philharmonic under Kent Nagano, the Albany New York Symphony under David Alan Miller; the Symfonieorkest van Vlaanderen under Jonas Alber; the String Quartet of the Münchner Symphoniker; the Chamber Music Ensemble of the Deutsches Symphonie Orchester Berlin; the Ensemble Musica Viva Dresden; the Ensemble MUSICA TEMPORALE Dresden; the Ensemble On Line Wien etc. He is a member of the Atlas Ensemble Holland and works regularly as a soloist with the Nieuw Ensemble Amsterdam. In addition to the prizes for traditional music in China, he won First Prize in 1996 and 2002 in the Musica Vitale World Music Competition in Germany. In 2004 he was prize winner at the German Global Ruth Folk Prize. In 2002 he also worked as a recording producer on Stream Flowing: Traditional Music from China (Celestial Harmonies 13246-2), with the sheng virtuoso WENG Zhenfa, a co-production between RBB and Celestial Harmonies, released in 2006. YOO Chang-Yun (viola) was born in Seoul, Korea in 1972. He began learning the piano at age five years and at eleven began viola and singing lessons. He soon won several competitions in Korea and moved to Europe as a teenager to further his studies, graduating in 2006 at the Universität der Künste Berlin under Hartmut Rohde. Since 2007 he has worked as a freelance viola player with several ensembles including the Potsdamer Kammerakademie, the Ensemble Resonanz Hamburg, the Modern Art Ensemble and as permanent member of Work in Progress in Berlin. Increasingly, he is also working as a composer of film music. SUNG Sohyun (cello) was born in Seoul, Korea. After studying cello at the Seoul National University, she graduated with distinction from the Musikhochschule Freiburg under Christoph Henkel and completed her postgraduate studies at the Musikhochschule Düsseldorf with Johannes Goritzki. Additionally, she trained as a baroque cellist at the Universität der Künste Berlin. She has performed as soloist and with various ensembles in Europe and Asia. She has played with the Düsseldorfer Symphoniker, the Deutsche Kammerakademie Neuss, the Klassische Philharmonie Bonn and the Münchner Symphoniker. SUNG Sohyun was a prize winner of the Chung Ang Ilbo Competition and winner of the Chosun Ilbo Competition in Korea. Her ensemble U3 (recorder, baroque cello and harpsichord) was prize winner at the Alice Samter Chamber Music Competition and also winner of the 11th Internationale Alte-Musik-Treff Berlin 2006. Matthias Leupold (violin) works as a freelance musician in Berlin. He is a member of the Ensemble Oriol and the Kammerakademie Potsdam and has performed to great acclaim as a Tango violinist with the Tango Real Quartet in Buenos Aires, Montevideo, Istanbul, Lisbon and the Chamber Music Hall of the Berlin Philharmonie. Since his studies at the Universität der Künste in Berlin, he has devoted himself particularly to contemporary music. He has participated in many first performances, both as soloist and as part of ensembles such as the Ensemble Modern Frankfurt, the Kammerensemble Neue Musik Berlin and the Modern Art Sextet. CHUNG Il-Ryun (changgu) was born in 1964 in Frankfurt and spent his childhood years from 1967-71 in Korea. From the age of 16 he began teaching himself to play the guitar. He moved to Berlin in 1984 where Carlo Domeniconi became his teacher and mentor. After studying guitar and composition with Domeniconi from 1985-89 he took up a place at the Berlin Hochschule der Künste with Prof. Jolyon Brettingham Smith, studying composition. CHUNG Il-Ryun was greatly influenced and impressed by the great Korean percussionist KIM Duk-Soo, who introduced him to Korean percussion music and its rhythmic subtleties. He is active as a guitarist, both as a soloist and in chamber ensembles, and also increasingly as a percussionist in Korean traditional music. In 2001 he founded the Ensemble IIIZ+ together with Jocelyn Clark; the ensemble has performed across the USA, Belgium, the Netherlands, Germany and France, at Festivals such as the Festival de l'imaginaire in Paris and 38.Rugissant in Grenoble, amongst others. Together with the sheng player WU Wei and the violinist Matthias Leupold he was a founding member of the AsianArt Ensemble in 2009. In 2011, he was in the process of creating a large scale work for the National Theater of Korea, scored for Korean instruments, entitled Part of Nature. 8 Landscape V (1993) 15'00"
11 In Nomine II (1993) 12'34"